We all have a feature we first notice on people; for some it’s the smile, others it’s the eyes, or the hair, or the skin…and for me, it’s a person’s eyebrows. That’s probably because I have thick, hairy eyebrows that – if they go unkempt – quickly turn into a unibrow with a witch’s arch. Because of this, I have been to many so-called “eyebrow experts” over the years, and have become both extremely experienced and extremely picky. For me, it’s not about price. I don’t care how much I pay for my brows, I just want the expert to listen to what I want and take time to understand my face shape, and then ultimately do what I like and not what they like. I treat my New York matchmaking clients the same way and take the time to understand their needs. So I love finding experts that take the same approach with me. After having some terrible experiences with pre-made utensils at Anastasia Brow Studio in New York City (another threading salon) I was frustrated. And to make matters worse, the customer service at Anastasia was the worst. The women there acted like I owed them something, rather than the other way around, and the last time I checked that’s not how it works with a paying customer. So I became adamant about finding the right place for me, with people who knew my name and listened to what I wanted (and made my naturally arched eyebrows perfectly round). In short…I wanted to find someone who cared. After extensive research, I came across Joey Healy. The $135 price tag was more than I’d ever paid for eyebrows before, but after checking out his website and reading his reviews, I was ready to try him out and made an appointment. Joey himself walked me in. His salon looked brand new and smelled delicious, with a clean, modern look, and best of all was very easy to find as it’s right on University Boulevard on Greenwich Village. My Eyebrows After Joey Did His Magic! Sounded good to me! So I sat back and let him do his thing, trusting completely thanks to the fact that he’d taken so much time explaining his process and getting to know me before he ever picked up his first tool. He took the full 25 minutes to shape my brows, and then once he was done, applied a powder and trimmed them as well. Wow! Wow! Wow! They looked amazing! Perfect rounded arches that no one has ever been able to give me before. I was in love, knowing I’d found my one and only eyebrow man. Even better, he didn’t ask me to buy any of his products (I hate product pushers). 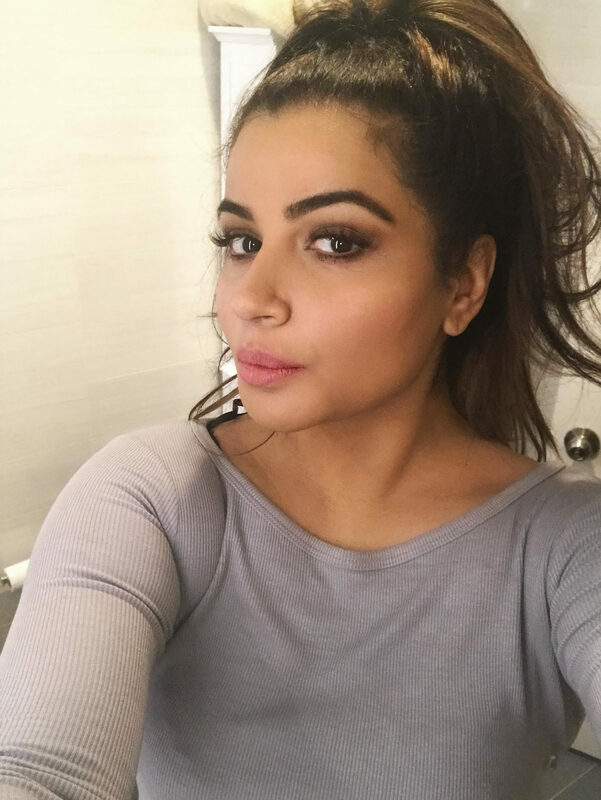 Even so, I loved the powder he used so much that I did ultimately end up purchasing some, as I loved the way it gave my brows such a natural, soft look. In comparison, I tried all of Anastasia’s products, and none of them came close, making my already dark, thick brows look harsh. Even the gel he used to keep everything in place was first rate; soft and smooth, not crunchy like others I’ve used. So there you have it. Anyone who loves their eyebrows needs to invest in a good eyebrow expert (anyone who doesn’t already love their eyebrows should start now…your eyebrows are the most important feature of your face). And if you live in New York City, then you now know exactly who to invest in: Joey Healy!